In Clash 'n' Slash: Worlds Away, you must help Barry "Clash" Barnes and Liz "Slash" Valentine protect their planet from wave after wave of hostile aliens. 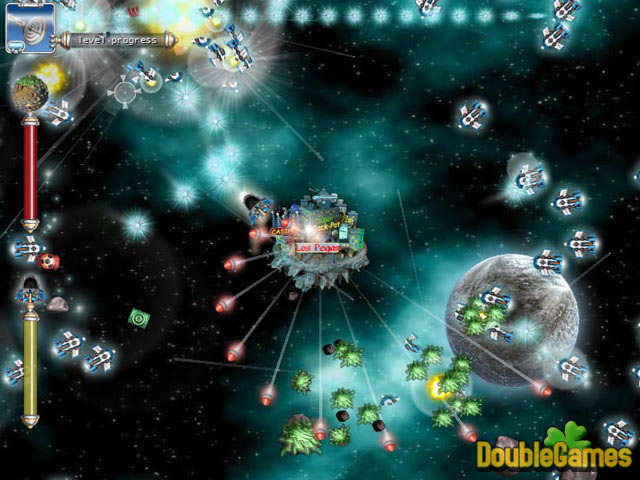 While circling their home world, you'll use superior firepower and an upgradeable spaceship to annihilate invaders. 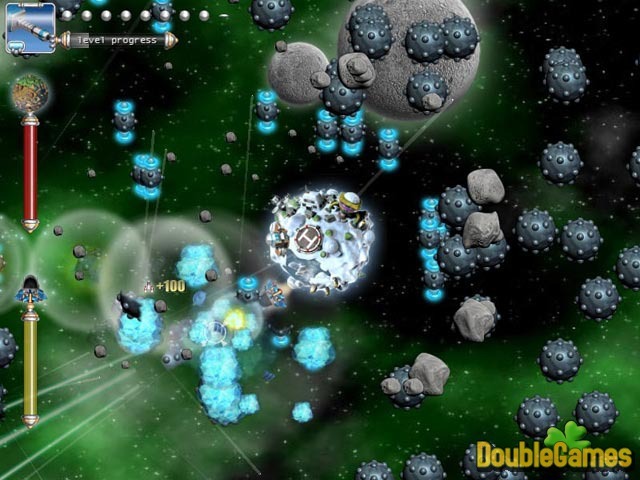 You'll also build powerful defensive structures on the surface of their planet as each battle progresses. With eye-popping visuals and simple mouse-based gameplay, Clash 'n' Slash: Worlds Away will thrill you for hours on end! Title - Clash N Slash: Worlds Away Game Download for PC Description - Uncover Clash N Slash: Worlds Away, a Arcade & Action game made by Enkord. 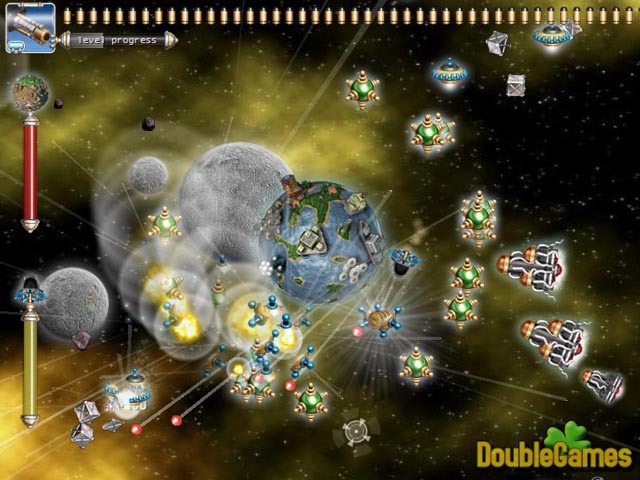 Defend your planet from waves of destroying alien attacks in Worlds Away!